Thank you for coming by and joining us for day 2 of our Blogaversary Blog Hop. Our hop is two days and each day we will have different designers sharing different projects with you! We have some GREAT Blog Candy as well as some daily file and graphic give-aways! So be sure to join us EVERYDAY for the next 7 days! In case you missed yesterday’s hop, check out all the details; simply CLICK HERE. 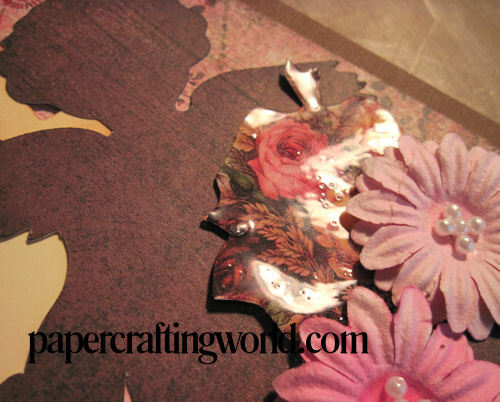 This layout was created using the Cricut Victorian Romance Cartridge. Here is a close up of the Crackle Glaze that I used on the print out. As it dries, it will automatically crack. It is a really neat feature that gives everything a cracked glass appearance. Here is a close up of the little bear. All the cuts from this layout were from the Victorian Romance cartridge including the little bear. I will have downloadable instructions done for this layout either later this evening or for tomorrow. This version is one I made with the files I created in my Pazzles Inspiration software. This software is much like the Funtime Software. I had a lot of questions regarding how I make my files so I figured I would start with the basics and work from there. Here is a close up of the glossy accents I used on the printable for this version. I know the picture is lousy but I hope you get the idea. 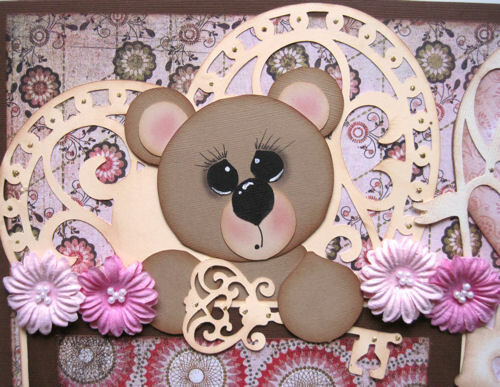 Here is a close up of the little bear in the cutting file version I created. Once again I decided that while I was creating the layouts, that I would go ahead and create extra kits. Today there are two. One that is more towards the Cricut Version and One that is like the Cutting File Version. I did however interchange a few pieces of the die cuts as I was cutting to simply save paper, etc. and the fabric petalloo flowers are a little different, but from the same package. As I was making the projects for Saturday’s Blog post, I decided to make a kit so one lucky winner could get all the “stuff” to make the kit. You will receive ALL the stuff I used to create the “Cutting File Version” in this kit. Just click the "add to cart" button and check out. It will not cost anything to download during th free offer period 24 hrs. **Upadte** Sorry no longer available here. 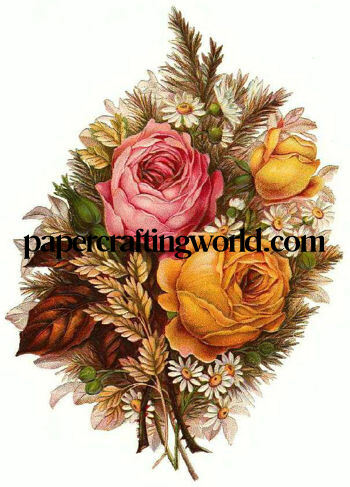 Please visit PaperCraftingWorld.com to purchase. 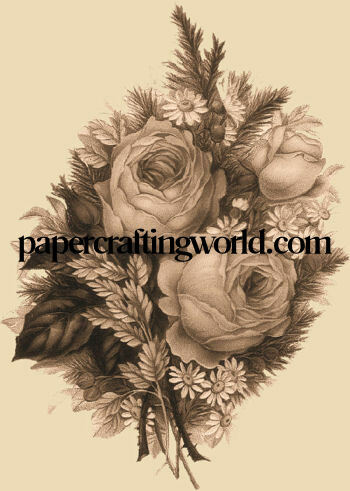 Here is the vintage roses that I used on today's projects. Be sure to click the add to cart button and check out for free. Hurry as they will only be free for a limited time. Okay now be sure to head over to Michelle’s Blog to see the wonderful project she has in store for you! Remember if you get lost along the way, just come back here. 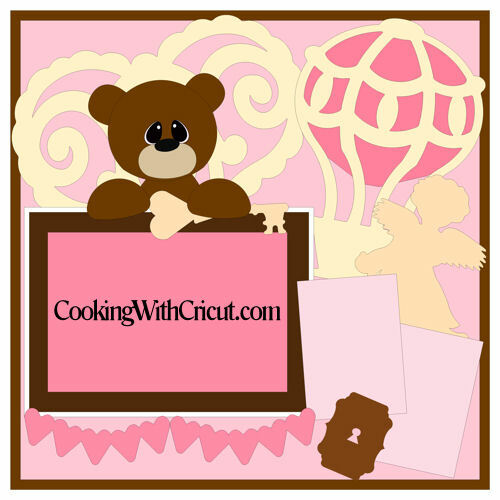 Here is today’s Blog Hop Line Up Once Again! Thank you so much for stopping by, be sure to come back tomorrow for our Monday Blogaversary showcase and more great freebies! GIRLFRIEND! LOVE< LOVE>LOVE this layout! 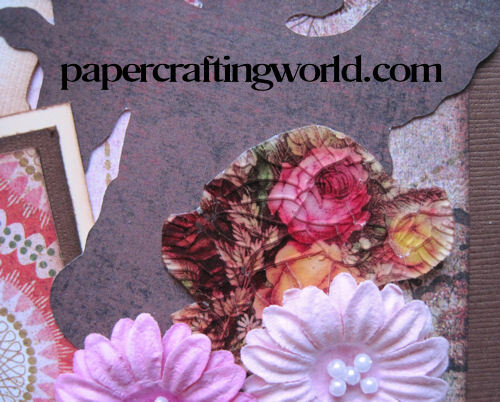 I can't wait to download these files from Paper Crafting World -- especially that hot air balloon!!!!! You have knocked it out of the park once again, my friend. Hugs! Oh Melin, this is just so sweet. I love the way you've layered and tucked in so many cuts. It's truly eye candy. Love the hot air balloon and the bear! I love the quote on your header. I followed you on FB. You have some great ideas! Wow! Another AMAZING layout! You have such a creative mind. Wow! That is just gorgeous!! I love the hot air balloon and the big heart behind the teddy bear! So wonderful!! Awe, I'm in love! This is the most beautiful page I've seen in a long time! You really did a wonderful job! ABSOLUTELY BEAUTIFUL LAYOUT. LOVE IT ! Great page!! LOVE the bear and baloon!! WOW. 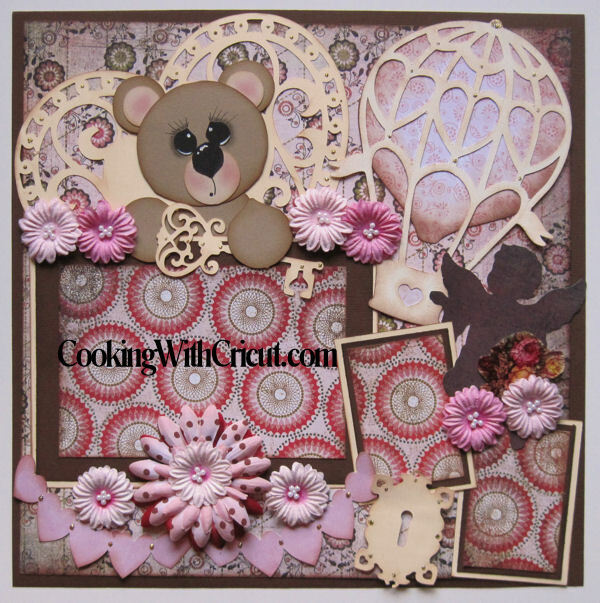 That is a gorgeous layout and I love all the embellishments! The hop has been so much fun. I love the hot air balloon! Can't wait to use everything in the files. Thanks so much! Love this layout. the air balloon is fantastic. Your layout is awesome!! Love the hot air balloon and lovely flowers. Love the LO so romantic, even with the little bear LOL! Thanks for the chance! I like you on facebook too! Thanks for all the goodies! Thanks for all of the goodies and congratulations on 2 years! Thanks for your generosity! Love all your layouts and cards! TFS and the chance to win! I like you on facebook, thanks for the chance on the blog candy! Lovely projects and free files. I always love looking at the creations from your files. Wow, wow, wow Melin! Your projects have been amazing! Love this little teddy and ballon! My gosh, you have been so generous! Your cut files are awesome always, and I love both today and yesterday! The teddy and balloon are terrific. Thank you. What an adorable layout, just love it. Thanks for all the inspirations you share. Your stuff is ALWAYS beautiful Melin! It would be so cool to win one of your wonderful prizes. Love the bear in the layout! You always inspire me! This is such a sweet layout and so many amazing details! Thank you for the free files. They are beautiful! This is such a cute layout that it makes me wish that I was a scrapbooker instead of a cardmaker! This page is gorgeous ! Oh my goodness, what a beautiful layout! I love it. Love all the goodies also! Happy Anniversary!!! I love the Key 2 My Heart layout. Super cute! Cindy T. Happy 2nd Anniversary ! 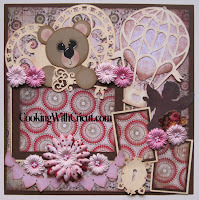 Cute layout...I love the bear! Love the key 2 my heart layout. Wonderful projects. They have inspired me to try. What a pretty LO! Thanks for sharing the files! What an absolutely lovely way to spend an entire Sunday afternoon hopping through everyone's blog on this hop. Happy Anniversary! I can't wait to try these cute teddy bear svg files for duplicating your cute layout. Thanks. Happy Anniversary and THANK you so much for sharing you beautiful layout ideas. both layouts are absolutely beautiful. Thank you so much. I <3 your LO! The Victorian Romance created so many wonderfully delicate cuts! Thanks for the cutting files, though, in case I don't decide to take the plunge and buy the cartridge! As always your layouts are superb. I love them. Thanks for the cutting files and roses. Happy Anniversary. Thanks for the chances to win. I really appreciate your sharing your files. Beautiful projects again today. I really enjoyed the hop. Thanks for the free files. Another awesome project today. The bear is so cute, and the papers are perfect. Adorable layout. The bear is so cute. Melin another wonderful project and files. Your eyes and chalking on your bear make me green with envy. So many cute files. You never cease to amaze me. So sweet! Great papers and design! Amazing Lo's! I am so proud to be on your DT! What great freebies!!! Thanks so much. You are awesome. Thank you so much for these fabulous files and your wonderful inspiration for these adorable pages!!!! Thank you for this opportunity to win such awesome prizes! You guys are awesome! Thanks for the chance to win such a cool prize! This is amazing and so beautiful. Thanks for the chance at the prizes. I really like your key 2 my heart, but am unable to open any of the downloads. Bummer. Wow, what a beautiful layout, thanks for sharing. love this with the balloon!!! wow - you have been busy. great layouts. I just love your adorable pages!! The beautiful detail makes them so much fun to look at!! Oh my what a cute little bear. Love your page. 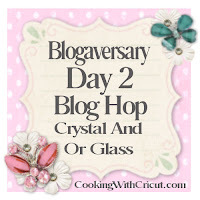 Forgot to say earlier HAPPY BLOGAVERSARY!!! Your layouts are just gorgeous!!!!! WOW! Happy Blogaversary too!!!!! Oh Melin your layout is beyond words! You have so much talent. This projects should be placed in a frame and hanging on the wall. Love what you did! The baloon and bear are adorable! I love this layout and all the details! Beautiful and so sweet! Love the layout!!! The little bear is so adorable. Gorgeous layouts, the cut file looks so intricate, I'm not into that but the more and more I learn from your blog maybe one day I will, thanks again for all the great ideas! !